Green Cleaning Products LLC, a company dedicated to freeing the world of toxic chemicals, one building at a time, is proud to be sponsoring a powerful, information packed, and LIVE webinar. As a commercial cleaner just starting your green cleaning business or janitorial service this may be very valuable to you and your team. 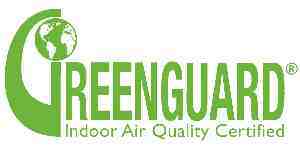 The GREENGUARD Environmental Institute, part of UL Environment, was founded in 2001 with the mission of protecting human health and quality of life by improving indoor air quality and reducing chemical exposure. UL Environment, a business unit of UL (Underwriters Laboratories), acquired GREENGUARD in 2011, further advancing its mission of promoting global sustainability, environmental health, and safety. This presentation provides an overview of successful implementation of green cleaning programs. Participants will explore both the standard and green common practices of maintenance in buildings, methods of implementation, and the extent that green cleaning has addressed issues of indoor air quality and building health. In the end, green cleaning is not simply a switch to greener products, but a change in design, construction and maintenance cultures. This presentation has been develop to reach out not only to green janitorial service companies, commercial green cleaners, natural green home cleaning companies, facility maintenance professionals, but also design and construction professionals as well. “True Green Clean” is an educational presentation that compiles the latest available information. This live webinar is presented by a third party, not a product distributor. Explore the basics of the cleaning industry regarding costs, health and numbers. Understand what chemicals are used, why and what effects they may have on human health. Explore the intricacies that define the approaches to certain industry cleaning practices. Learn what it means to adopt green cleaning that is effective, efficient, healthy and sustainable. Ask the questions you have, but have not known who to ask. This one time LIVE presentation is provided to you in a virtual format at a webinar at NO cost to you. In the event you would benefit from AIA CES and GBCI CMP continuing professional education credit, it has been approved. Green Cleaning Products LLC, a retail and wholesale provider of multiple product lines that are green, sustainable, ecofriendly, nontoxic, and safe, such as the SNAP EnviroCare All Purpose Cleaner, is happy to assist you in growing your business.